Learn how to add a video as a canvas background in your Showit site. You can add video directly to a page but it will play automatically with no controls. This is good for desktop canvas backgrounds or short clips. 1. Open the media library and click the “Upload File” button. 2. Select your video file on your computer and upload it into your media library. 4. 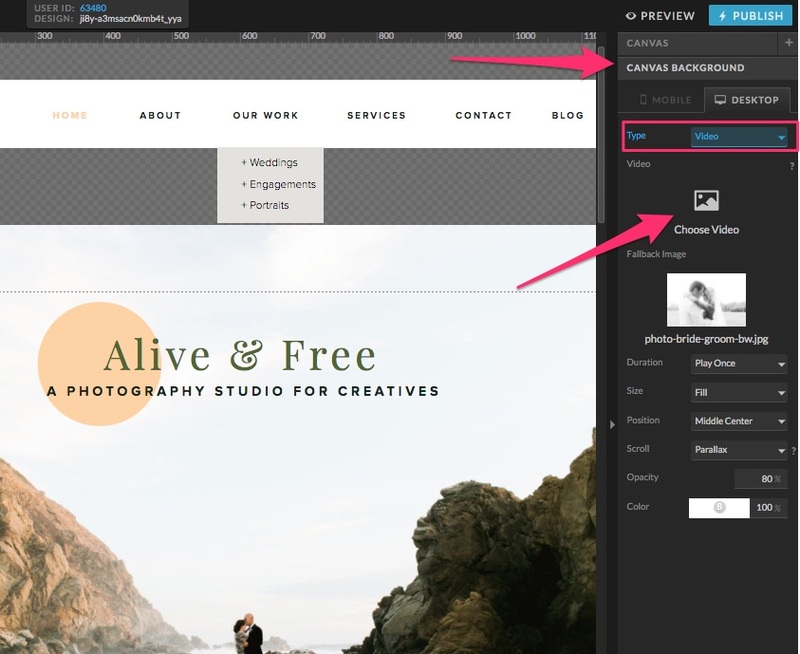 Click the “Canvas Background” option on the right hand properties panel. 5. From the “Type” drop down, select “Video”. We suggest using the free video conversion software Handbrake to convert the files into small web sized videos. An 8mb file size limit is in place for background videos to ensure they load quickly.